I love cleaning and organizing spaces in order to provide businesses, individuals, and families with a peaceful, clean, and safe living environment. Green Frog House Cleaning aims to be the highest quality house cleaning service in San Diego among residential cleaning services. We are on a mission to provide the Highest Quality, Punctual, and Friendliest house cleaning in San Diego. 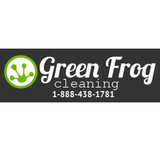 We have a great group of Technicians here at Green Frog that have been with us for a long time. We’ve been locally owned and operated by husband and wife team Jaime and Brian Nilles since 2004. They would be happy to speak with you anytime about how we can best serve you because, it’s all about you. All of our Technicians are chosen for their outstanding qualities and good history. In addition each employee undergoes a through background check. We would never send someone to your home who we wouldn’t want in ours. We’ll make sure to match you with a cleaner that fits with your personal needs. Our work is 100% guaranteed. If you are not completely satisfied with our cleaning just give us a call and well come fix it – free! Our professional house cleaning system guarantees a thorough clean every time. We use our Quality Control Checklist with every visit. We’ll be there when we say we’ll be there. If we have reschedule we will give you at least a weeks notice. Here at Clean Bee of SD, we focus on providing excellent service with the highest levels of customer satisfaction. We will do everything we can to meet your expectations. We offer vacation rental, residential cleaning and organizing services. Please Contact for pricing and more details. We are sure you’ll be happy working with us! Look around our website and if you have any questions or comments, please feel free to contact us. We hope to see you again! Check back later for new updates to our website. There’s much more to come! 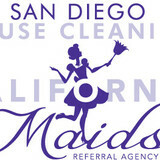 Hello my family and I have been working in the San Diego area for over 10 years cleaning houses. We are friendly and caring of our customers needs. We create long lasting relationships with our clientele and we can provide references of past and current clients whom we have worked with. Our rates are reasonable and we pride in being perfectionist at our job. We use environmentally friendly products at the request of the client. We can do extra services if asked as well. Please contact Annie at 6193237603 to set up an appointment or reply with your phone number so I can personally contact you. I am looking forward to speaking with you. "Life's Too Short to Clean your own Home" The Mighty Maids purpose is to Save our clients time, and help them maintain a healthy- clean free environment by providing house cleaning services in San Diego, CA. Highest quality of service for your aquarium or pond in town. Our fish live so long they become family. ACY was founded in 2012 with the purpose of providing an unforgettable experience for residents who need some help to keep their homes clean, sanitized and well maintained. Several years of good reputation with hundreds of customers satisfied have made of ACY the best option for cleaning services. All our professional cleaners are detail oriented, reliable and efficient. We train them accordingly to our Unique Cleaning Method and we do our best to have them happy with their work environment, which is the key to performing in a positive way at our customer’s places. Sundance Cleaning has been providing carpet cleaning and house cleaning services in San Diego areas since 2002. Our carpet cleaning technician is certified by the IICRC. We operate our business in a professional manner and perform our services to industry standards. All our cleaning agents are safe for your home and your office. At Sundance Cleaning, we dedicate to providing ethical and superior services to our clients. We guarantee our work. That is right. We fully guarantee every cleaning job we do. If you are not happy with any service that we provide, simply call us within 7 days after the service was performed. We’ll re-clean the concerned areas at no cost to you. Nothing is more important than your complete and total satisfaction. You have nothing to lose, but dirt in your house. 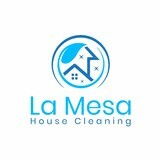 We are NOT your typical San Diego cleaning company. We strive to excel and deliver higher standards than your typical cleaning company, and aim to make getting your home clean simple again, without the hassle of complicated quotes and cluttered invoices and billing. Just choose one of our services that fits your cleaning service needs for your home, select a date that works, sit back and relax. Our professional team will take care of the rest, guaranteeing the very best service. Are you looking for a competent and reliable cleaning company? Pleasant Home is at your service! Since 2000 we have been providing our satisfied customers in the area of Southern Orange County with the first-rate service. Our professionally trained staff and environmentally friendly cleaning techniques have made us a local favorite! Serving the San Diego Area Since 2012. Our company is based on the belief that our customers' needs are of the utmost importance. Our entire team is committed to meeting those needs. As a result, a high percentage of our business is from repeat customers and referrals. We would welcome the opportunity to earn your trust and deliver you the best service in the industry. OCPremeire allows you all the benefits of a personal assistant, without having to hire a full time employee. We all struggle with our daily to-do list, so imagine the convenience of someone taking care of the details; giving you more time to get through you days, and do more of what You enjoy. OCPremiere gives you the opportunity to enjoy family, fun and freedom, and simplify your life! OCPremiere is proud to offer our clients the most consistent and dependable house cleaning in Orange County. The secret to our success is a low turnover in the professional house cleaning staff we send to your home. You can choose for them to use your products, or if you’d prefer, they will bring their own. OCPremiere will set up your services, and make sure your home is “white glove clean”. We also offer you help you with big, one time cleaning projects. In addition to our regularly scheduled services, we will deep clean and disinfect your home for occasions; like a party, when relatives come to visit, or any other reason. Our professional maid service will work with you to create a cleaning plan, and then take care of the cleaning prior to the event. Spend less time cleaning the cabinets and floors, and more time celebrating! Housecleaning services with more then 10 years of experience. Professional, Hones, Reliable, References available. What should I expect from a house cleaner in San Diego, CA? Most professional San Diego house cleaning services will do the same tasks for a basic residential cleaning job: clearing dust and cobwebs from all surfaces and fixtures; wiping all surfaces, including sinks, tubs, counters mirrors; cleaning tile; vacuuming and mopping. You may want to have different rooms detailed at different times, so ask about doing a rotating schedule if you want them to pay extra attention to each space (like kitchens and bathrooms) every other cleaning. Some house cleaning companies in San Diego, CA will also offer additional services such as window washing or appliance cleaning, so ask about incorporating them into your deal or doing them as a one time thing if you’re interested. Pick up any clutter (laundry, toys and other gadgets) and put pets in a secure spot so they feel safe and don’t get in the way of the San Diego house cleaning company. Put out any specific cleaning products or tools you want used, and make sure to lock up any valuables that you don’t want disturbed. Most housekeeping services in San Diego, CA will enter with a spare key or garage code, but if that isn’t something you’re comfortable with then you should arrange for them to come when you are home to let them in. Typically San Diego house cleaners expect payment at the time of cleaning, so ensure you have the appropriate form of payment (cash, check or credit card) on hand, plus a little extra for tip if that’s your style and they do a great job. Find San Diego house cleaning services on Houzz. Narrow your search in the Professionals section of the website to house cleaners in San Diego, CA and contact local companies to ask questions and get quotes.